Nokia 7 is like a poor man’s Nokia 8. It’s so similar to the flagship Nokia phone with almost all the features that are there in the Nokia 8. The company on Thursday unveiled the phone in China, hoping to compete with the Xiaomi, Huawei and Oppo. The Nokia 7 has a starting price of CNY 2499 in China and it will go on sale from October 24. It is not clear when the Nokia 7 will arrive in India. Given the fact that it has been first launched in China, just like the Nokia 6 was last year, there are chances that this phone may come to India late. But whenever it comes, if at all it come, expect the price to be around Rs 25,000 given that the Nokia 8 has a price of Rs 36,999 in India.It also looks pretty good. Nokia says that the glass back cover has a 3D curve and that it has been moulded into the aluminium 7000 frame using vacuum moulded process. It is powered by Qualcomm Snapdragon 630 processor and two variants as far as RAM is concerned, 4GB RAM and 6GB. Both have 64GB internal storage. The screen measures 5.2 inches and has 1080P resolution. The screen has a Gorilla Glass 3 layer and the phone is rated for IP54 durability.The phone uses Android Nougat aka Android 7.1.The phone has a 3000 mAh battery inside it. 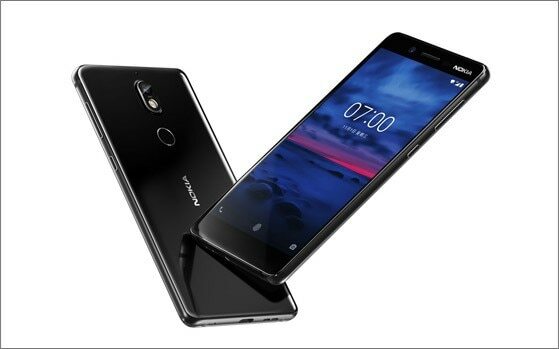 The Nokia 7 supports Bothie feature, which is ability to use both the front and rear cameras at the same time.Unlike the Nokia 8 that has two rear cameras, the Nokia 7 comes with one main camera. This camera uses a 16-megapixel image sensor that has 1.12um pixel size. It is paired with a F1.8 lens. From specifications it seems that Nokia 7 may have the same image sensor that is inside the OnePlus 3T. On the front, the Nokia 7 has a 5-megapixel camera using a F2.0 lens. Currently, Nokia does have a hole in its product line-up in India. The company has Nokia 6 at Rs 14,999 price point and the has the Nokia 8 at Rs 36,999. It between it can definitely have another phone around price point of Rs 22,000 to Rs 25,000. The Nokia 7 could be this phone. What do you think about this latest budget friendly phone from Nokia?